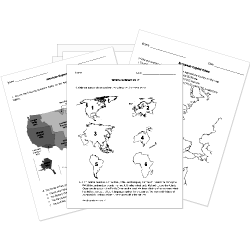 You can create printable tests and worksheets from these US Government questions! Select one or more questions using the checkboxes above each question. Then click the add selected questions to a test button before moving to another page. What is the head of the Supreme Court's title? Anyone can be nominated to serve on the Supreme Court. Picked by George Washington, was the first Chief Justice. The number of Supreme Court Justices has not changed since it was set by the Judiciary Act of 1789. The Supreme Court was created in 1789 as part of the Fourth Amendment in the Bill of Rights. William Howard Taft was the only person to have been both President of the United States and Chief Justice of the Supreme Court. Only twelve nominees to the Supreme Court have been rejected by the Senate. Article III of the Constitution does not say how many justices there should be in the Supreme Court. The Amendment declared slavery to be illegal everywhere in the United States. Rules changed in 2017 that allowed the filibuster to be used to block votes on Supreme Court nominees. Which amendment to the Constitution made the production, sale, and transportation of alcohol illegal? A bill must be passed by BOTH the House of Representatives and the Senate in order to go to the President. A change or addition to a bill is known as a what? According to myth, who sewed the first American flag? How long can the President hold office? 2 terms or 4 yrs. 2 terms or 10 yrs. 2 terms or 8 yrs. How many members are the in the House of Representatives? Senators are elected to serve year terms.